NRG’s vision is to create a sustainable energy future. For us, that means that our mission every day is to safely power the American economy with reliable and cleaner electricity. In 2017, the United States faced turbulent political dynamics and new leadership priorities. This makes long-term strategic planning difficult for corporations whose investment timescales are much longer than election cycles. The role and extent of environmental regulation on our business operations and infrastructure, for example, remains uncertain. For the power sector, one of the most notable changes in 2017 pertained to the Clean Power Plan, or CPP, a rule promulgated by the Obama Administration to address greenhouse gas (GHG) emissions from existing fossil-fuel-fired electric generating units. The EPA is currently revisiting the rule. NRG believes that while any near-term federal regulation of GHG emissions is unlikely, sub-national parties, particularly states and cities, are increasing their own efforts to curb emissions. Another example is the mercury and air toxics standards (MATS) rule, which established limits for emissions of hazardous air pollutants from coal and oil-fired electric generating units, being reviewed by the EPA to determine whether it should reconsider all or part of the rule. While NRG cannot predict the final outcome of this rulemaking, we have already invested in pollution controls and cleaner technologies, and thus our fleet is well positioned to comply with the MATS rule. 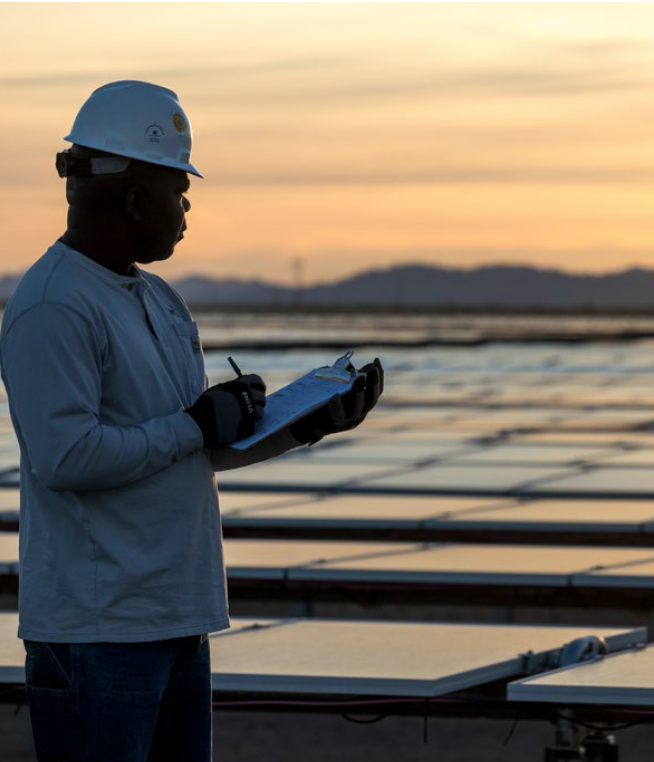 While advancing a sustainable energy strategy will be driven by business decisions, NRG welcomes regulation that aligns with our vision of a sustainable energy future while respecting the integrity of competitive markets and expanding customer choice. Learn more about NRG’s policy engagement efforts here. 2017 saw its share of the kind of extreme weather events predicted to increase as a result of climate change, including hurricanes, flooding, wild fires and mudslides. NRG felt this close to home, especially during Hurricane Harvey, which significantly impacted our Houston and Gulf Coast assets and employees (to read more about NRG’s experience, please review our Lesson of Nature section. Changes in weather or other environmental conditions, such as temperature and precipitation levels, can affect electricity demand, presenting both business risks and opportunities. However, the potential for increased frequency and severity of storms, floods and other climatic events can disrupt our operations and cause us, and our customers, to incur significant costs if not adequately mitigated. Click here to continue reading in NRG Energy's 2017 Sustainability Report (p 12).